2018 S American Innovation Dollar NGC PF69 Ultra Cameo Early Releases American Innovation Series Label. 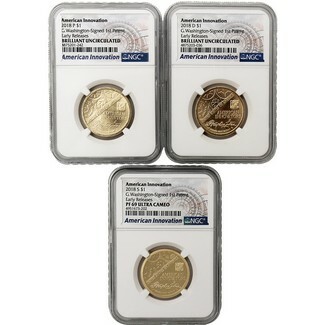 The bonus includes the 2018 P & D American Innovation Dollar Coins NGC "Brilliant Uncirculated" Early Releases American Innovation Series Label. 3 coins total.